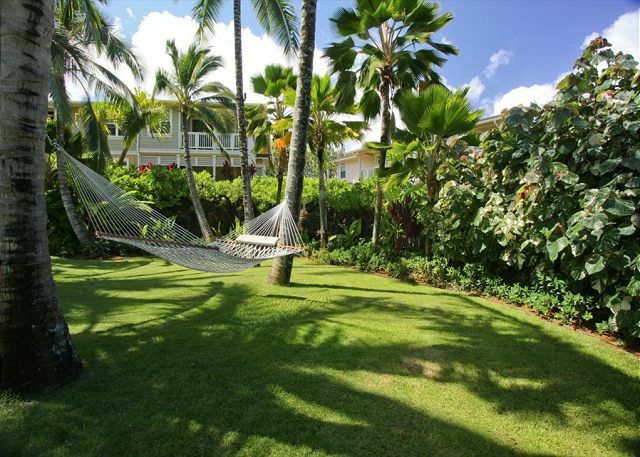 Nihilani - Paradise in Princeville 2A EMAIL or CALL NOW! Welcome to Nihilani, a little piece of paradise, and happens to be the newest development in Princeville, with building just completed by Brookfield Homes Hawaii at the beginning of 2007. Nihilani is a private, tranquil, safe, secure, and a family friendly environment. 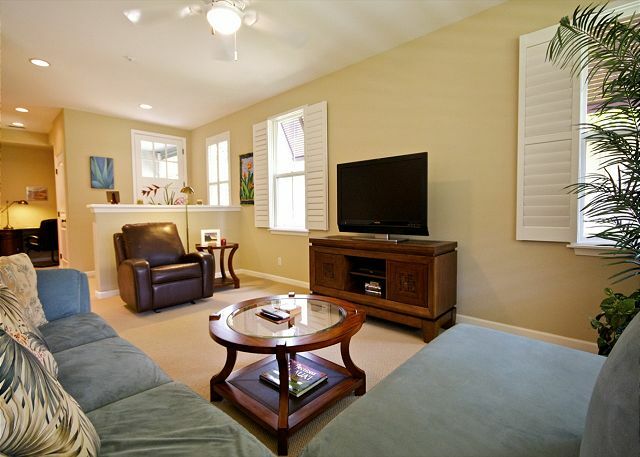 This convenient location is walking distance to the golf course, and near beaches, tennis courts, walking paths, shops, and restaurants. 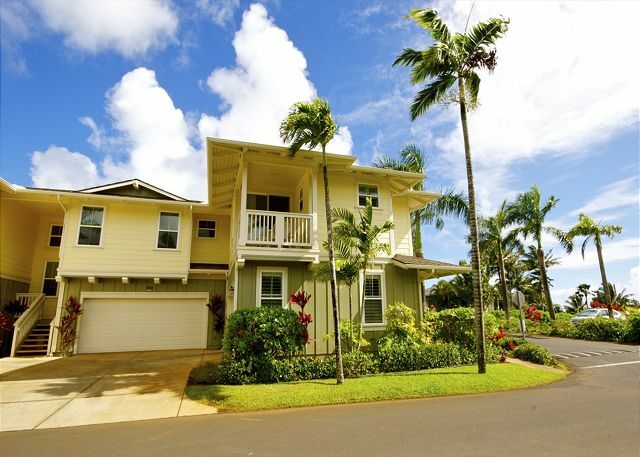 Located in famed Princeville, directly on the golf course, this 1400 square foot 2 bedroom 2 bath, single-level floorplan, with a 2 car garage, can easily accommodate up to 4 people in style. 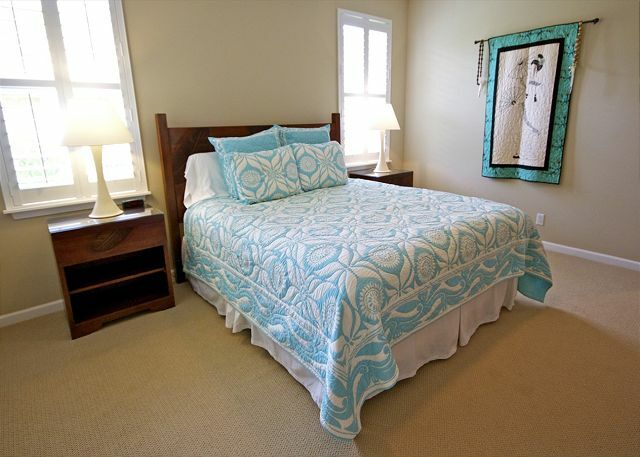 This plantation style townhome is tastefully decorated with designer furniture, hotel quality linens, and has a gourmet kitchen with a spacious, open-plan living/kitchen area for entertaining. All ground floor, NO stairs. 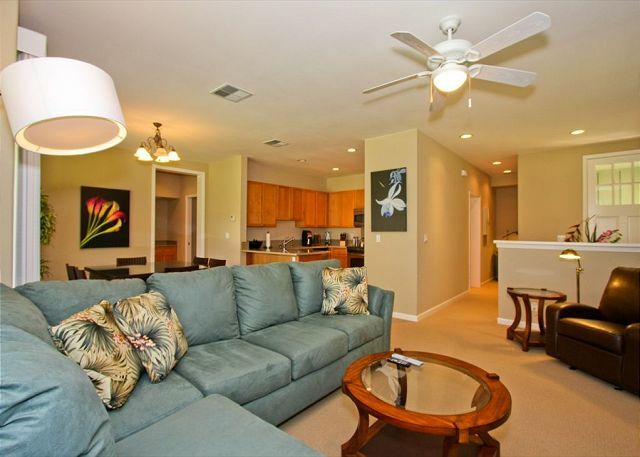 Enjoy all the comforts of home with some great resort amenities in the condo common area. 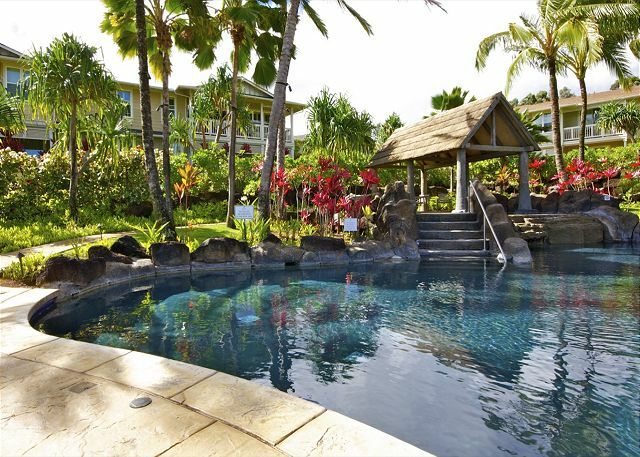 Nihilani’s tropical landscape, pool, Jacuzzi, BBQ area, and incredible location make for a romantic getaway alone, or for a group of couples or family. and overlooks the Princeville Makai Course at the PRINCEVILLE GOLF CLUB. Very pleasant experience. Everything was as advertised. Our home away from home was absolutely perfect. The hot tub was available every night no one else was around. 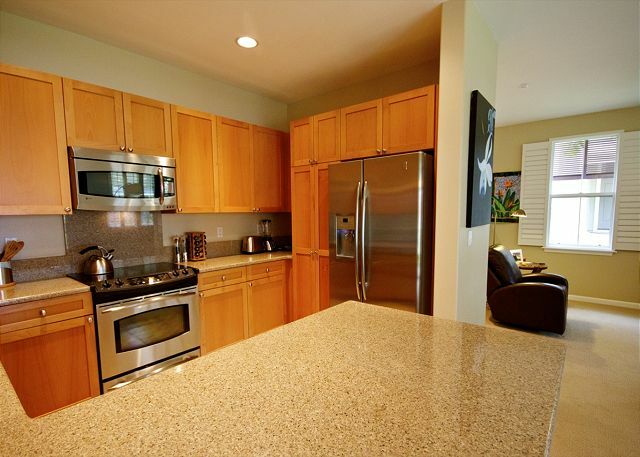 And the interior of our condo was absolutely sparkling clean and gorgeous. Hope to stay there again sometime soon. 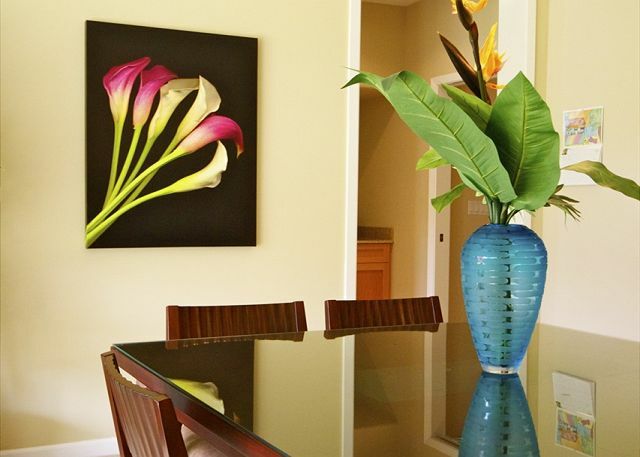 Nihilani was a beautiful condo that was clean and well furnished. It would have been helpful to have written instructiona about how things operate in the condo. We only stayed for a long weekend but this unit was perfect! We opted for a condo instead of staying at a "resort" and were so happy we did! Not only did we save money, but we had so much more space and amenities available to us. After staying in many other units in Nihilani, I must say one of the best parts was having a garage we pulled STRAIGHT into, instead of trying to make the turn into a side garage! We smiled every time we pulled into the garage!! Perfect place for a family or group for vacation!! For the cost per night Nihilani 2A is a great holiday location. I have stayed in places I gave 5 Stars but I have paid $500-$700 per night. In those cases I expect perfect. 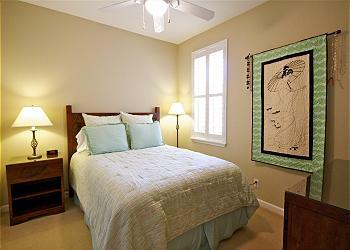 This unit is clean, modern and equipped with basic needs. It just lacks the high end finishes of a 5 star facility.I doubt anyone would be disappointed with what you pay per night. Our unit was very nice and clean in the ideal location. We cooked maybe two nights in our well supplied kitchen. The owners supplied us with beach towles, chairs, coolers and some snorkel gear. We were very satisfied. The condo we stayed in was wonderful. Terrific space. One downside is there was no easy access (walkable) to the beach. We could walk to Queen's Bath, but not to a beach. If you want to live on a beach, and we did not, you might consider elsewhere. Otherwise, our stay was great. Stayed for 4 days, was fantastic, great location, condo was clean and perfect for our stay. with a shallow area for small kids. No ocean view but long green lush belt out back. One of the best units in Nihilani. Kauai Exclusive was excellent to work with, very accommodating and quick response. Highly recommended for couples, small families and older individuals. We had an awesome stay. Everything was amazing, we will definitely return. Mahalo for everything. The unit was very nicely furnished, clean and comfortable. Having spices, salt, sugar and oil spray available in the pantry upon arrival was a nice suprise. AC worked beautifully once we found the thermostat. The complex was very quite and close to a foodland for groceries. We enjoyed the waterfalls and all the sites and beaches were driving distant although some of the admission fees for local gardens were a little pricey for what you got. Minor complaint about ice and water dispenser on refrigerator door. Don't use it. There was mold around the inside of the dispensing shoot and water tube and no way to clean or disinfect all the surfaces inside properly. Tried but failed. Use bottle water instead. This condo was very nice and clean. It had everything we needed. Kauai management were very nice to deal with and the concierge (John Hilliard) was fantastic in helping us set up activities. I would definitely stay here again. I loved the Princeville area. Just a beautiful place!!! Can't wait to go back again. Beautifully landscaped gardens, Nice pool, first class accommodation ....nothing to fault!! We have stayed in that area before. the rental was great. Everything we needed. 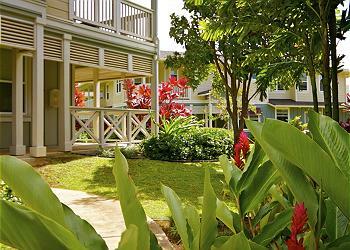 We enjoy staying around Princeville. Everything and everybody was great. This place was an excellent place to stay and we hope to come here again. The condo was very clean and well equipped with everything we needed. Location is best in Princeville in a quiet neighborhood. We loved everything about it. The property management was very accomadating, professional and helpful. Beautiful condo, helpful management, great location! 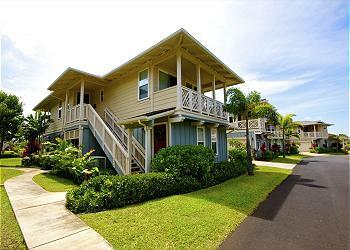 We stayed in condos on Oahu and Maui over two weeks and this one was by far our favorite! We had a small hitch with getting into the unit but a quick call to the management was all it took. They were very helpful and friendly. Beautiful, safe neighbourhood. Cool central air. We loved having two bathrooms as we were travelling as two single ladies. Beautifully decorated (with a large flatscreen TV and satellite... which was great for evenings as the nighlife on Kauai is not exactly hopping). We loved the large sectional couch, big dining table and beautiful kitchen. We also loved the feature of being able to park our rental car in the garage and made use of the washing machine and dryer! 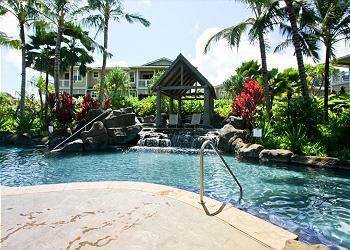 We enjoyed the pool area very much and sometimes had to force ourselves to leave to explore the island! We loved the surfing town of Hanalei (only a short drive away - make sure you try Wishing Well Shave Ice!). As long as you have a rental car everything is easy to get to on Kauai. This condo was about 45 minutes from the airport but a very easy and scenic drive. We took a helicopter tour and recommend it very much! $240.00 per person but breathtaking views and memories to last a lifetime! Only 10% of the island is accessible by car so the only way to see the rest of the island is by boat tour or helicopter. I hope we will be back! Absolutely loved our experience! everything was so easy and the accommodation was exactly as described if not better! Great times in a comfortable condo! Excellent experience! Booking was amazingly easy and done completely via phone and/or email. Condo was beautiful! Loved everything about it! Very comfortable, stylish, and larger than I expected! Princeville and Hanalei are beautiful! Highly recommend this property! Great Experience - Already have suggested to friends. Pool could be a few degrees warmer - that was the biggest item that people were complaining about that I over heard. For us though we made it part of our daily experience for the kids. It was very professional, friendly and helpful. Great vacation, comfortable place to stay. Great place. Great location. Loved being able to cook our own meals. 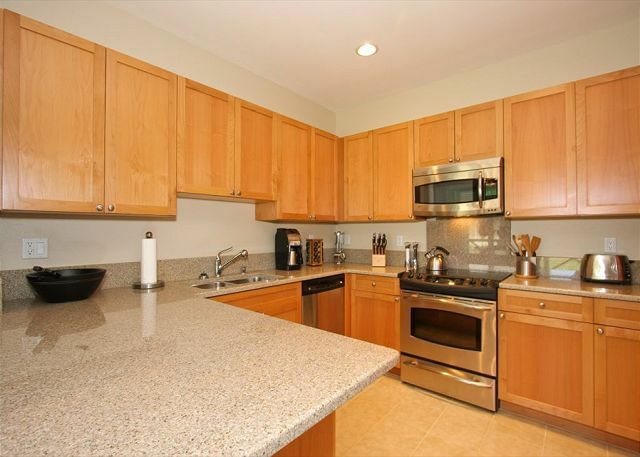 Perfect spot with a ton of different activity options within minutes of driving and even walking distance! We love staying here and will continue to return as often as possible. The condo was very clean and had all the amenities of home. The owners provided everything we needed plus more. Would definitely stay here again. Highly recommended to all our friends. Thanks again Josh for an awesome stay on Kauai, and thanks to the owners for sharing your lovely home with us. My fiancé and I had a wonderful vacation thanks largely to the accommodations we found. It was great to have a home feel and being so close to some wonderful beaches on the island. Do yourself a favor and go for the less conventional resort and give yourself a relaxed experience. Great location and size for the price. No complaints would definitely stay again. Two couples (each with a toddler) stayed here for a week in Oct. What a fun getaway - just a couple minutes walk from the pool/hot tub and not far drives to kid friendly beaches, plus the grocery store and a park being 5 minutes away. The place is modern, nice open layout of the kitchen to dining room to family room. MBR has nice walk-in closet to put the pack n play in. A great place! Only small issue was the internet didn't work. This place was truly a pleasure to stay at! 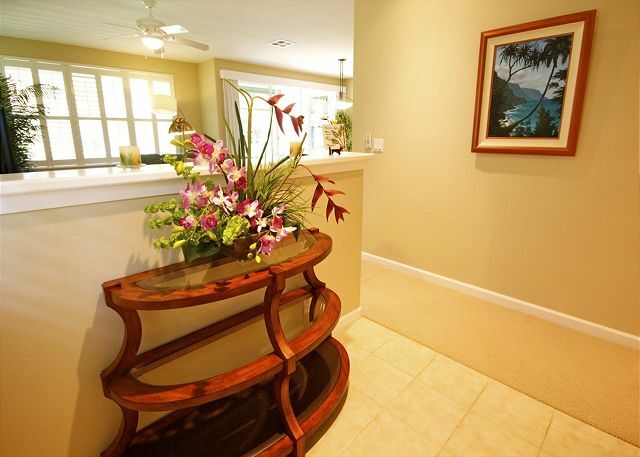 A beautiful condo in a great location. Condo is nice and spacious.A few things did not work, plugs in bathroom,toilet leaked, fan in living room. Nice overall with a few fixes. The rental was very clean and had everything we needed. The extra beach toys, chairs, etc. in the garage were super helpful. We even liked their Kauai guidebook that was in the home. Everything was well maintained and we thoroughly enjoyed our stay. 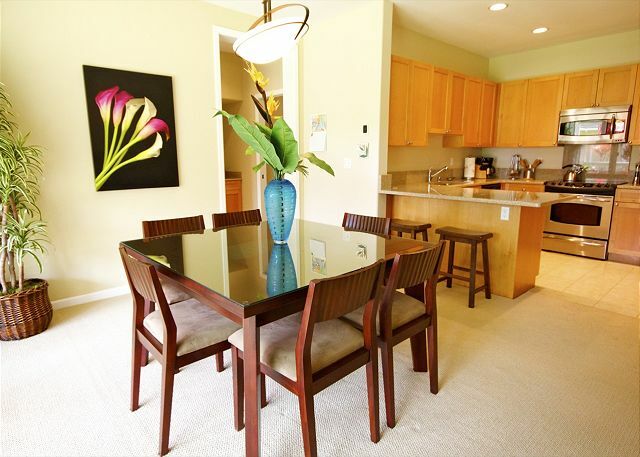 We highly recommend this condo to couples, families, or anyone looking for a home away from home. we had a very comfortable and easy going vacation. What a beautiful unit that was very, very clean! 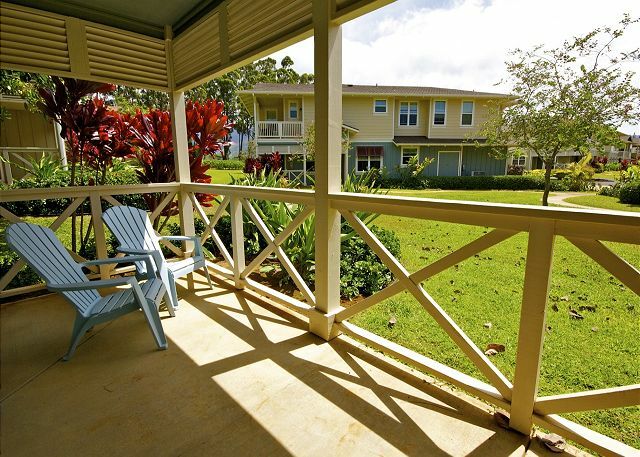 We loved staying there for convenience & just the beauty of the North end of Kauai. We sat on the lanai every morning & loved feeding 2 sweet & hungry red crested cardinals bits of our breakfast cereal & toast. We hope to stay again & wanna make an annual visit...we would pick the same unit again! Love the area and the place! Great for the entire family. This was a beautiful home, very clean & fully stocked. It was truly a home away from home, my family would love to stay there again in the future.` Thank you!!! We had a great stay and were very comfortable. We would stay here again for sure. The only complaint, which is very minor, is that the wireless router needed to be reset frequently to maintain an internet connection. Other than that, it was perfect. 1. I thought that the property was within walking distance of a beach and it was not. 2. The icemaker on the refridgeratior did not work. Outstanding stay. Well managed property. Clean, beautiful and well équiped. 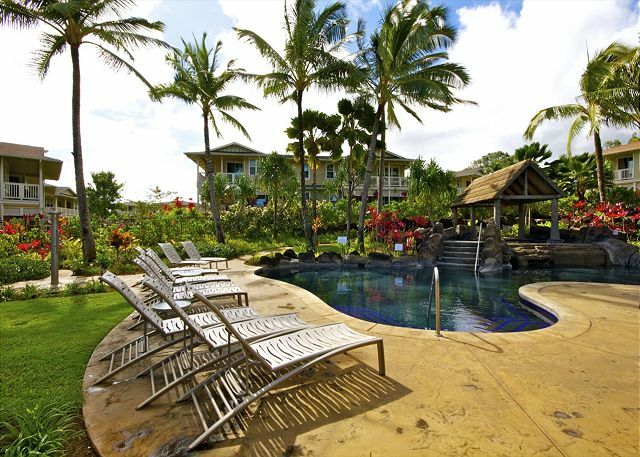 We have been to Kauai about a dozen times so we know our way around....this property is one of the finest we have ever enjoyed...would like to live there. The managers did a great job in making our stay as comfortable as possible...we will return to use their service again. This was our first visit to Hawaii. We weren't disappointed. This unit was very roomy for the two of us, and would be just as roomy for four. Everything we needed was there. The only thing missing was an ocean view. We found this property to be quite quiet and very relaxing. We recommend this unit as a wonderful place to stay in North Kauai. Our stay at the Nihilani was truly relaxing and met every expectation we had for a stay in Princeville. 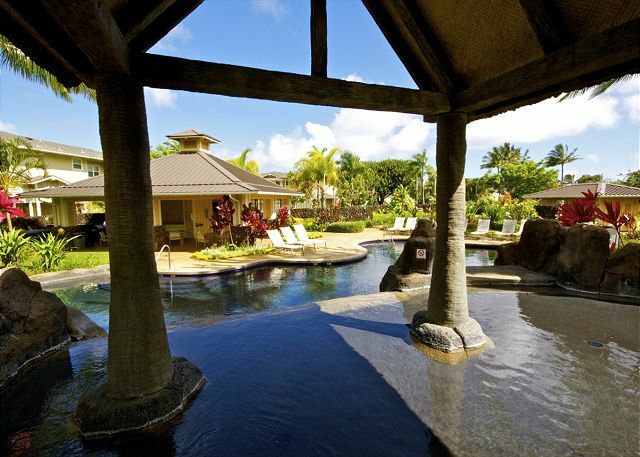 Close to Hanalei and the Na Pali Coast hike as well as kayaking, ziplining and surfing. After each day’s adventures we looked forward to the peace and quiet provided our unit. ALL the comforts of home!! having a garage to come and go thru means you don't carry groceries very far. 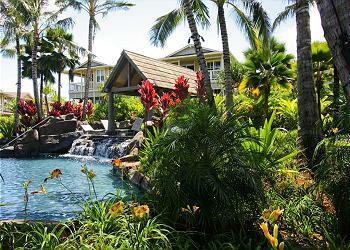 I love staying in Princeville, because my family lives there. So close, the north shore is awesome. I'm a BRITT too. The oven was a little smokie. But everything else was really clean. The beds are real comfortable. We had a great stay. 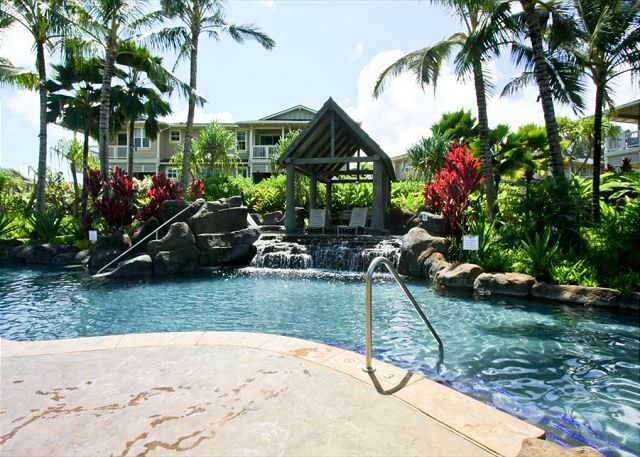 I will use this rental company for all my future stays in Kauai. Mahalo and Aloha, untill next time. 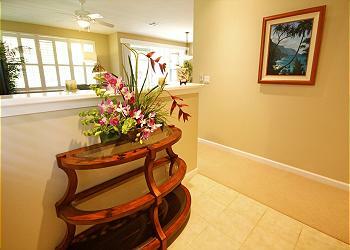 The condo was large and roomy and beautifully decorated. 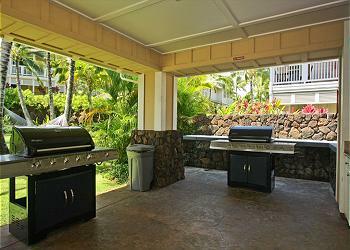 A terrific location, great pool and clean functioning BBQ's. We loved how wonderful it was having all the comforts of home but in paradise. Everything you needed was there; everything in the kitchen, beach chairs in the garage, boogie boards, an ice chest for the beach. Perfect place for a perfect vacation. Will stay here again and again. We are #1 for this renter! Unfortunately they meant to give us a 5!! I have tried to have TA resolve this with no success. Good location for North Shore activities but there is no view of mountians or ocean. The property was very nicely furnished with top quality everything needed.The complex just seemed too crowded and there are no paths to the pool. We had an overall a very nice stay. The only reason we didn't rate this place as a 5 star was because the washing machine was not working and it took about 3 days into our stay to get it fix. We had to find other alternative and it wasn't easy. Townhome was very spacious and well appointed. It has tasteful furnishings and the 2 car garage was handy. Truly felt like having a home away from home. Everything was perfect. 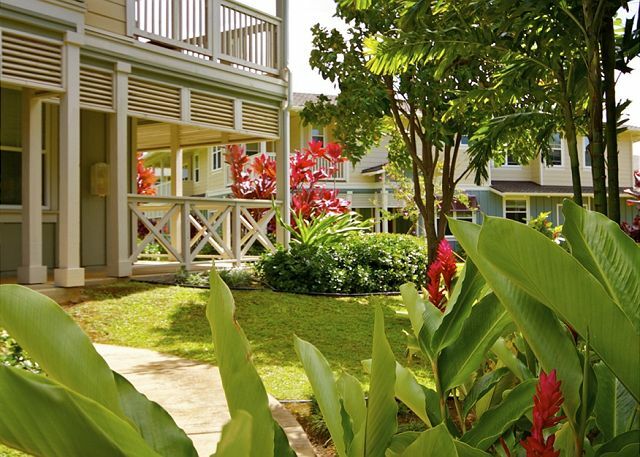 Location: far enough from traffics, close enough to many beaches, commercials, and town. 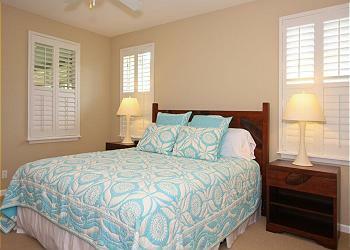 The layout of the property was smartly done, well furnished, and very clean. We would definitly come back to the same unit, property, and area. My family stayed here 3 nights in late August '09. It is gorgeous! 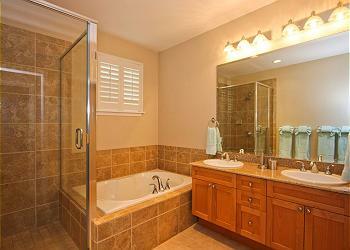 Very nicely decorated, lots of space, extremely clean. The only suggestion I would make to the owners would be to have an additional blanket for the air mattress. My 3 year old slept on a (very comfortable!) air mattress that was provided, but there were only sheets for it, no additional blankets and he got cold in the night. The only other suggestion would be to have some additional snorkel gear available for guests to borrow. The place we had come from just prior on the Big Island had quite a bit and it really came in handy for us. But overall, Nihilani 2A was a great unit and I would certainly stay there again and/or recommend it to friends! A great company to deal with. Very professional and accommodating. 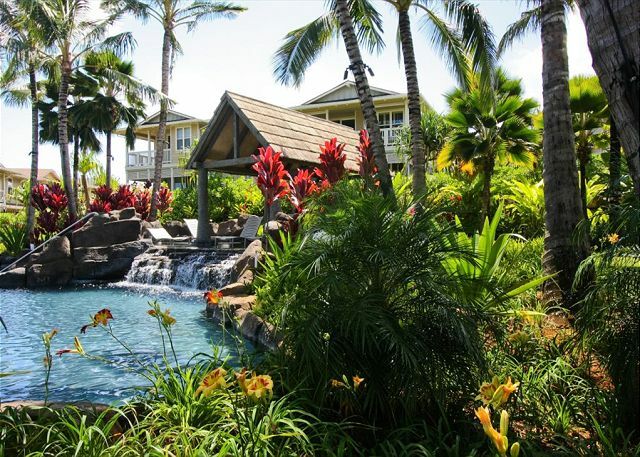 This property exceeded all of our expectations, in fact everyone I have discussed the trip with has heard that the high point of our Kauai vacation was our Nihilani property; every amenity of home, plus. The kitchen was equipped for a chef, entertainement and WiFi state of the art, and beautifully landscaped and maintained grounds; a perfect setting. We had a great stay with our family. The condo was beautifully furnished and appointed. The only downside was the cold swimming pool, but otherwise we greatly enjoyed ourselves and would stay here again.